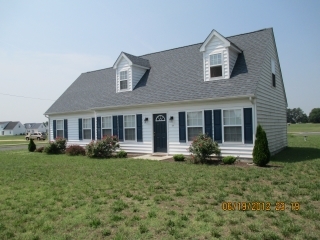 Looking for Rental Homes in Salisbury Maryland? Disney Properties is a rental property management company that offers an array of rental housing options including single family homes, student housing, executive homes, apartments, condos and townhouses in Salisbury, MD and Fruitland, Maryland as well as surrounding areas. Our professional office is open five days a week to assist you in finding the ideal rental home. Finding a quality rental home can be a challenge. That is why Disney Properties maintains all of their rental homes in Wicomico County with the highest level of service and integrity. Because of this, Disney Properties is the leader in safe, affordable housing, offering a hassle-free housing experience to give you a peace of mind. Our maintenance department is available for service and repairs while renting one of our properties if you require any assistance. Please feel free to browse our site and see what we have to offer. Disney Properties complies with all housing related state and federal laws and is an Equal Housing Opportunity Provider on Delmarva. Our website will showcase our current rental properties in Salisbury and Fruitland, which will include pictures to assist you in making a decision when searching for your next home. Please contact us today to discover how we can make your next home selection a pleasant experience! Copyright 2012 Disney Properties. Web Solutions By Infoworkz Solutions Group, LLC.